Recognizing outstanding service by the members of the public safety agencies in the City of Rockville. 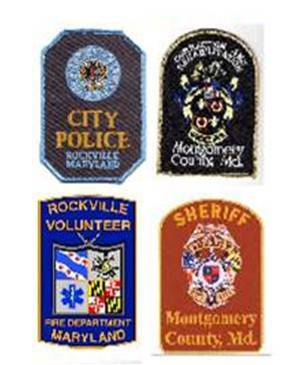 The Rockville Public Safety Awards program, now in its 30th year, in cooperation with the City of Rockville and the Rockville Chamber of Commerce, honors members of the Rockville City Police Department, the Montgomery County Sheriff’s Office, the Montgomery County Department of Corrections and Rehabilitation, and the Rockville Volunteer Fire Department. We thank our corporate sponsors: PEPCO, Westat, Choice Hotels, Montgomery College, City Chic Real Estate and Edward Jones. This year, Tom from Masonic will be the host organization, and John Bean is our emcee. Father M. Valentine Keveny will do the Invocation and Benediction. The purpose of the program is to recognize outstanding achievements by the members of these public safety agencies based in the City of Rockville. All of us have benefited by the fine service we receive from our public safety agencies. The awards are presented at a luncheon each year. Over the years we have recognized seven individuals with a Medal of Valor, 68 with a Citation for Bravery, 248 with a Distinguished Service Citation, 192 with a Meritorious Service Bar, 15 civilians have been presented with a Rockville Community Service Award and since 2018, five Lifesaving awards, 2 Unsung Hero awards and one Lifetime Achievement award. Please plan to attend this year’s ceremony to be held from 11:30am to 2pm on Wednesday, June 12, 2019 at the Lakewood Country Club on Glen Mill Road in Rockville. What a way to show our appreciation to these award winners by being there and congratulating them yourself!